Caton Hosey Insurance has a reputation for outstanding customer service and embracing technology solutions to better serve their clients. As an independent broker, they have provided personal and commercial insurance to Port Orange and beyond since 1948. 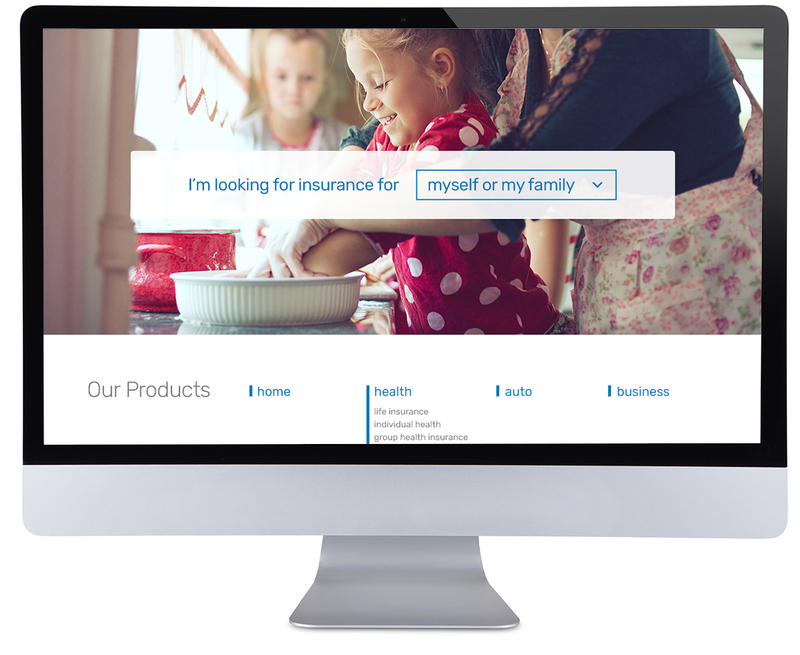 -Design and develop a new brand website for Caton Hosey Insurance. 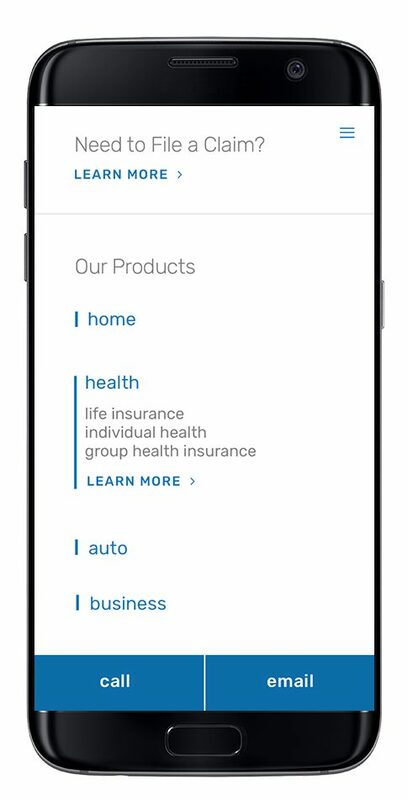 When we created the new design, we placed the core question front and center: "what type of insurance are you looking for?" By offering visitors exactly what they need on the first screen, we make it easier for them to decide whether Caton Hosey is a good fit. Pages about the team and client services ultimately drive users toward the core call to actions. On the Caton Hosey home page, we worked to drive sales via a quick selection area for available insurance plans. In the first area viewed by a website visitor, we offered them the opportunity to select whether they were looking for personal or business insurance, and then to view all the insurance types appropriate to that category. Immediately below that area, we offered a dropdown menu highlighting all the available insurance offerings at Caton Hosey Insurance. For prospective visitors, selecting a plan could not be simpler with the ability to select a category of insurance to quickly help them find what they are looking for. The new Caton Hosey website needed a bold and direct way to reach visitors. Many potential clients would spend too much time trying to find the type of insurance they required. Due to the many options available for insurance, we tried to streamline the landing page and sub pages to lead visitors to the content they seek quickly and painlessly. The new design also kept full responsiveness in mind to ensure that visitors found the mobile experience to be as efficient as the desktop experience. adjective providing private coaching, advice, and tailored training programs to other marketing professionals and business leaders.